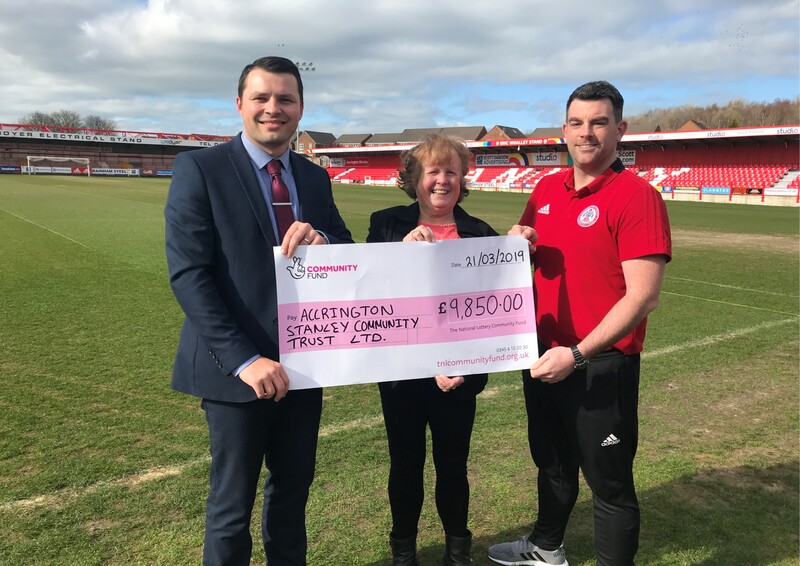 Accrington Stanley Community Trust have secured a grant of £9,850 from the National Lottery Awards for All Community Fund to launch a new project that provides employability support for people who are out of work in Hyndburn. The new project will include regular employability workshops delivered by the mentors, focusing on employability skills such as CV Writing, Job Searching, Completing Job Applications and Interview Practice. This project will bring together people from different backgrounds as well as helping them reach their full potential, whilst also working hard at addressing the higher than average unemployment rates in our community. As well as getting people ready for work, this project will build confidence and self-esteem, improve life skills and experience and reduce social isolation. This project is due to start in April 2019 and we will be posting further updates over the coming weeks. NEXT Next post: Stanley Kicks It Out!